Liver enzymes are proteins that help speed up chemical reactions within the liver. They perform a variety of functions in the body, such as filtration and cleansing of blood, excretion and metabolism. The liver is greatly involved in removing toxins from the body. It also makes proteins that take part in blood clotting. When liver enzymes are elevated or decreased, it is a sign of liver problem, and must not be ignored. A variety of conditions will elevate liver enzymes. One of the reasons for a liver enzyme elevation is fatty liver disease. The American Liver Foundation says that fatty liver disease occurs because of an excess amount of fat in liver cells, causing liver inflammation. People who are overweight or suffer from chronic conditions like diabetes often have fatty livers. Doctors diagnose fatty livers by performing routine blood tests and doing ultrasounds or an MRI to check the condition of the liver. Herbal remedies have become popular as natural cures for health conditions, either as an alternative to Western medicine or in conjunction to standard medical treatments. However, herbal toxicity can lead to liver enzyme elevation. The Acupuncture.com website says research indicates that people taking herbs as treatments suffer liver damage. The website states that liver biopsies showed high levels of liver enzymes in people with herbal toxicity. The American Academy of Family Physicians states that many people suffer from exercise-induced liver enzyme elevation. AAFP says that these elevations caused by strenuous exercise indicate that muscle damage has occurred. This is hard to detect because no other symptoms work in conjunction with results of AST liver enzyme blood tests. Doctors look for creatine kinase and other muscle markers to confirm exercise-induced liver enzyme elevation. Years of alcohol abuse is another reason for liver enzyme elevation, causing liver cirrhosis. The U.S. National Library of Medicine states that binge drinking leads to acute alcoholic hepatitis, increasing in severity with the passage of time. 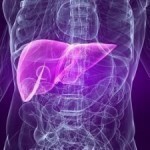 The liver no longer absorbs and digests alcohol, because it is damaged. The only way to decrease liver damage is to stop drinking. According to The U.S. National Library of Medicine, liver enzyme elevation indicates congestive heart failure. This life-threatening condition occurs because the heart cannot pump adequate amounts of blood to the rest of the body. 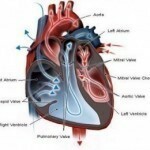 Congestive heart failure develops over time or appears suddenly. Elevated liver enzymes happen because blood backs up in the liver, reducing its ability to function properly. Doctors treat this condition by putting patients on heart medication, creating a low-salt dietary plan, and monitoring patients every three to six months. Other conditions that can cause elevated liver enzymes are varied: cirrhosis (commonly seen in middle-aged women), fatty liver, liver injury, cancerous or benign liver tumors, alcoholic liver disease, certain autoimmune disorders, hepatitis, obesity, diabetes, Wilson’s disease, biliary obstructions, gallstones, pancreatitis, certain muscle disorders, celiac disease, heart attack, high cholesterol, mononucleosis, Lupus, leukemia, tuberculosis. Taking medications such as acetaminophen, tetracycline and some chemotherapy drugs may also elevate the liver enzymes.